Bellevue's New Driving Range has a unique upper and lower level that blends right into the natural landscape. It will feature 46 stalls - 23 of them are completely covered and heated for your comfort and convenience, another 13 stalls that are covered and 10 that are open air. As usual, we will provide brand new range balls and mats to give you the best experience possible! *May open later on Tuesday mornings due to maintenance. "Double Balls" Monday - Friday before 8am! 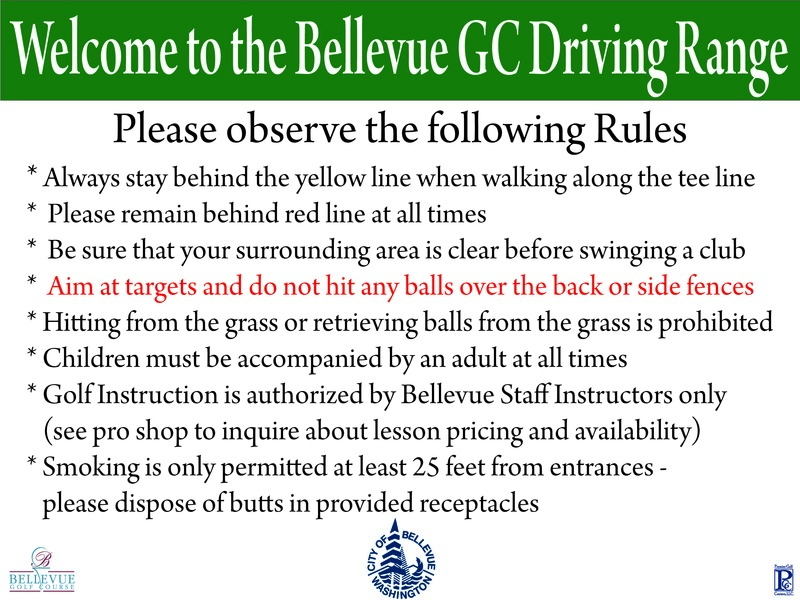 Click here to download the Driving Range Rules.